The Young and the Restless recap for Monday July 9, teases that Nikki (Melody Thomas Scott) and Sharon (Sharon Case) thought they saw J.T. in a hoodie coming back for their souls! Panicked, they feared the cad would kill Victor (Eric Braeden) and tried to contact him. In their frenzy they almost whack Mariah (Camryn Grimes), thinking she’s J.T. Drunken Kyle (Michael Mealor) was arrested for grave robbing and unhappy Jack (Peter Bergman) had to bail him out. But Kyle didn’t exit the scary grave pit alone! After he apologized to an apoplectic Esther (Kate Linder), and she leaves, Kyle showed and told: he had a Phillip Chancellor bone in his hot little hand! A semi-naked Nate (Brooks Darnell) saw a nearly naked Hilary (Mishael Morgan) – we all know where this is going don’t we? She felt a cramp and of course ding-donged his doorbell instead of calling 911. 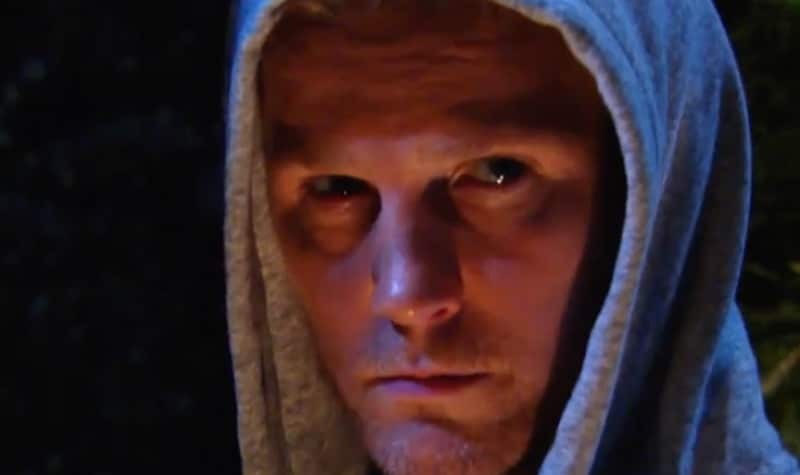 Be sure to return to Monsters and Critics for all the soap news you need to know, and sign up for our daily soaps spoilers email below! The Young and the Restless airs weekdays during the day on CBS and in the evening on PopTV.